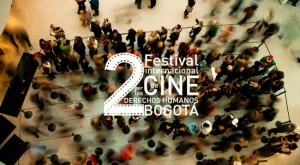 The Festival Internacional De Cine Por Los Derechos Humanos in Bogotá will screen HALEEMA twice during this year’s festival April 7-11. This entry was posted in Haleema and tagged Ali Moghadas, Bogotá, Boris Schaarschmidt, Colombia, Dara Iruka, human rights, Kurzfilm, Larry Thigpen, Michaela Ullmann, Peres Owino, Samba Schutte, Short Film by HeavyB. Bookmark the permalink.